The generic drug market comprises about 90 percent of the prescriptions filled nationwide and has historically seemed to function quite well in that drug prices have tended to decrease over time and are often lower than those of other countries. Yet recent price hikes of decades-old generics have led many to question whether the market is still competitive. This study, published in the October 2018 edition of Health Affairs, measured annual price changes from 2007 through 2013 using data from Medicare Part D and found that the fraction of generics that at least doubled in price grew from 1 percent in 2007 to 4.39 percent in 2013, even though prices in the market as a whole declined during the same time period. The authors of this study also found that these higher prices tended to persist for a number of years, suggesting a lack of competition in that class of drug. 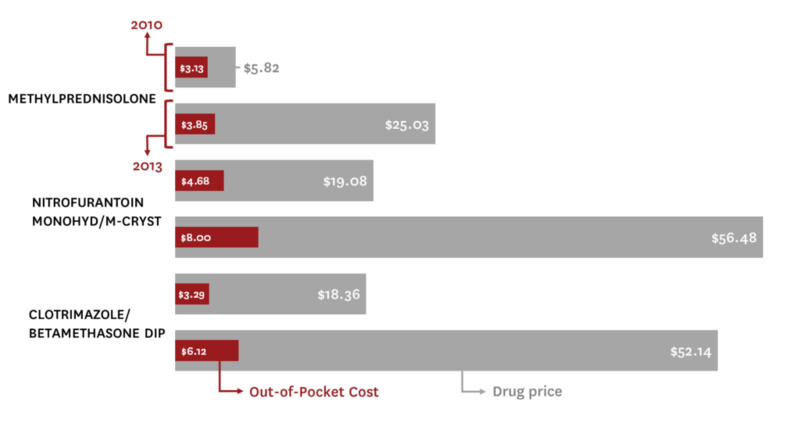 However, the authors found that patients are somewhat insulated from these changes because the majority of drugs with significant price hikes had low-to-medium base prices and changes in cost sharing for these drugs tended to increase much less than the market price of the drug. Given the study’s findings, the authors believe that the Federal Trade Commission (FTC) should more rigorously analyze mergers and takeovers of drug companies, and should redirect their focus to examining the potential effects on specific classes of drugs rather than the market as a whole. The researchers also recommend fast-tracking generic drug applications to the US Food and Drug Administration (FDA) when there is limited market competition as a solution to this problem. Read the full study here. A press release about the study and data visualization is available here.